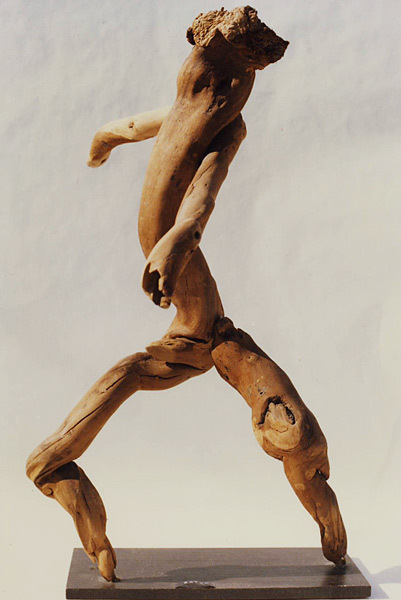 "Saytr" – From the mass of beached driftwood, came 3 pieces, exquisitely shaped by ocean and sand. Note the cloven hands, curly hair and prominent male organ. A rare gift.